Japan's cabinet on Friday approved a draft bill to bring more blue-collar foreign workers into the country to address chronic labour shortages. The Bill is now likely to be submitted to parliament. Meanwhile, the draft legislation has come under attack from both the opposition and members of Prime Minister Shinzo Abe's own party. However, business leaders have welcomed the move. The bill would allow foreign nationals with skills in sectors facing particularly severe shortages to obtain five-year visas, which would not allow them to bring their families. Foreign workers in those fields who hold stronger qualifications and pass a more difficult Japanese language test will be able to obtain a visa that can be extended indefinitely, eventually leading to residency, and will be able to bring over family. 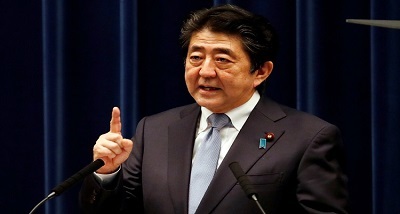 Prime Minister Abe has insisted the new policy does not represent a wholesale overhaul of the country's strict immigration policy. He said Japan will only accept foreign workers who have specific skills and can work immediately to address serious labour shortages, only in sectors that genuinely need them.